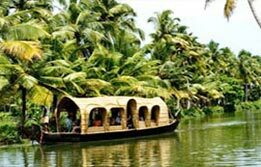 Tour to South India is a scintillating journey of surprises. Bordered by the sea, this peninsular south India is a world in its own with elaborate customs, traditions, aesthetics, heritage and culture. 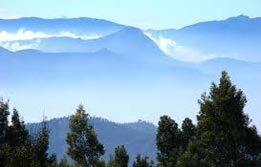 Encompassing four states during the tour of 16 days; this tour is a great experience to discover a flourishing civilization from the west to the east coasts of South India. 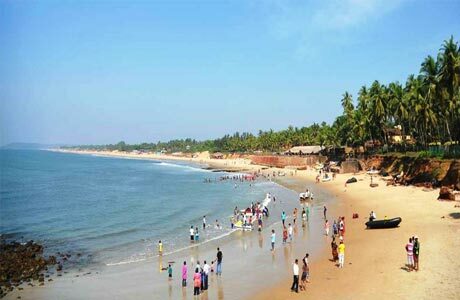 Bundled with great heritage, this tour stands out for an equal mix of culture, heritage and beach holiday in Goa during the end of the itinerary for a sumptuous south experience. Upon arrival at Mumbai Airport, meet India Budget Tours representative for assisted transfers to the hotel for overnight stay. 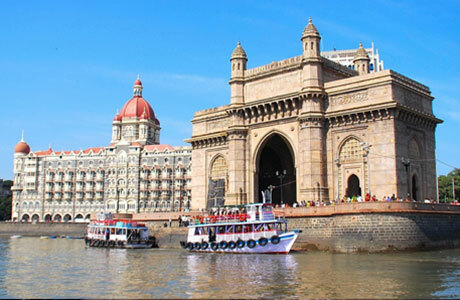 In morning, begin a cruise across Mumbai Harbour to Elephanta Islands (9 km). See the huge rock cut temple dedicated to Lord Shiva there. In the afternoon, return from the excursion towards the world heritage site tour and continue the city of dreams, Mumbai tour. 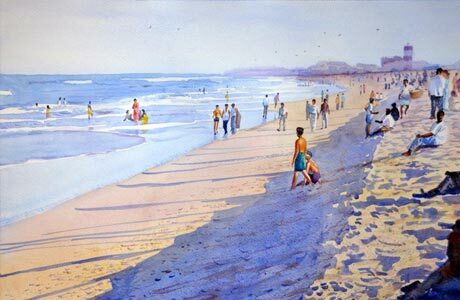 Visit Gateway of India, Victoria Terminus, Flora Fountain, Marine Drive, Victoria Terminus (Shivaji Terminus), Flora Fountain, busy Crawford Market, Nehru Planetarium, Kamala Nehru Park, Hanging Gardens, National Gallery of Modern Art and Chowpatty Beach alongside the Arabian Sea. Later transfer to Railway station to board train # 2701 Husain Sagar Express dep. 21:50 hrs. Overnight on board. Arrive Hyderabad at 12:10 hrs. Check in to hotel. 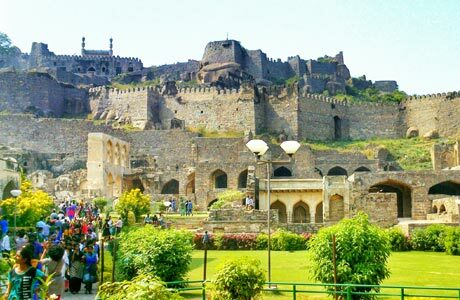 In the noon, begin an excursion to Golconda Fort. Spread on a boulder strewn plateau, Golconda or shepherd hill in colloquial language symbolizes the kingdom of Qutb Shahi dynasty, which ruled Hyderabad region from 1507 to 1687. 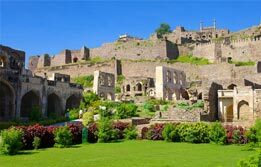 Glorious Golconda in the history of India is also known for great stock of diamonds. It was here that the famous diamond of Kohinoor and Hope Diamond were mined. Golconda Fort is a prime attraction of visiting Golconda. Originally a mud fort, Golconda achieved glory under the Qutub Shahi dynasty. The acoustics of the fort are other exemplary feats of the fort. The clap sound at the entry gate can be clearly heard at the highest point of Golconda fort, ‘Bala Hissar’ which is a kilometre away. Overnight in Hyderabad. 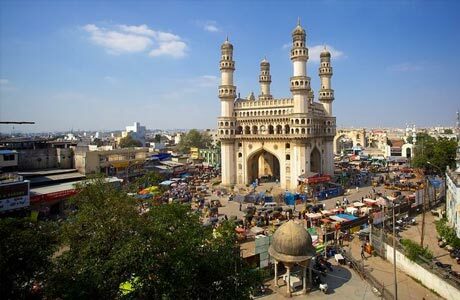 In the morning, begin Hyderabad city tour with a visit to Charminar. This rectangular four arched monumental gate is based on four minarets and offers a heritage view of Hyderabad. This is even termed as ‘The Arch of Triumph of the East’. Left to Charminar is The Mecca Mosque where it is believed that a relic of Prophet Muhammad is enshrined in a room. Continue exploring heritage of Hyderabad via a visit to the world largest man Salar Jung Museum - one man collection of rare manuscripts, ancient weapons, costumes & curios. In the evening, transfer to Railway station to connect Train # 2760 Charminar Express dep. 18:30 hrs for Chennai. Overnight in train. Arrive Chennai at 08:15 hrs. Upon arrival, transfer to the hotel. Begin a Chennai city tour via a visit to the Museum to see the Art and Bronze Gallery (Closed on Fridays and Public holidays). Continue the tour with a visit to Fort museum, Marina Beach, Santhome Cathedral and Snake Park. Overnight stay in Chennai. 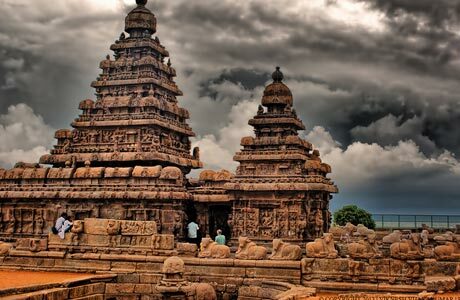 Move out and devote a full day towards an excursion to Kanchipuram and Mahabalipuram. Kanchipuram is a sacred temple town known for temples dedicated to both Shaivites and Vaishnavites. Mahabalipuram is an open sea port known for its intricate open air bas reliefs, pagodas and cave temples. This is also a world heritage site. Must visit attractions of Mahabalipuram include The Seashore temple. After the excursion, transfer to the railway station to board the train to Mysore by train # 16222 Mysore Express dep. 21:30 hrs. Overnight on board. Reach Mysore at 07:00 hrs. Leave for a mesmerizing city tour of Mysore via a visit to stately Maharaja's Palace. This is one of the biggest palaces in the country. Continue the sandalwood city tour through Chamarejendra Art Gallery, Huge figure of Demon Mahishasura, Govt. Silk Factory, Govt. Sandalwood Oil factory etc. Overnight at hotel. After breakfast, begin a drive to Bangalore (140 km / 3 hrs). Upon arrival, transfer to the hotel. 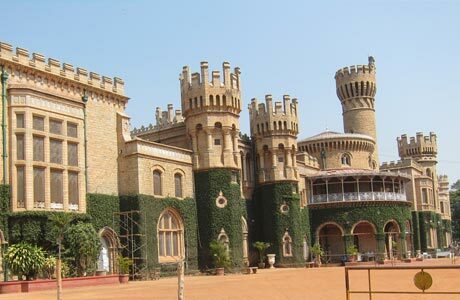 Later continue the city tour of Bangalore with a visit to the imperial style Lal bagh gardens. These are the Botanical Gardens extending over 240 acres. 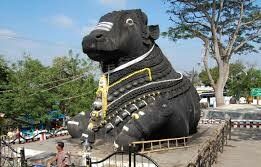 Visit Dravidian style Bull temple which houses the largest idol of Nandi and Tippu Sultan's Summer Palace. Overnight stay in Bangalore. After breakfast drive to Hospet (375 km / 09 hrs). 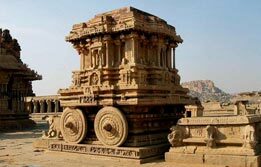 Hospet is the entry city to explore heritage of Hampi, a world heritage site laid out by Vijayanagar Empire. Here, lost temples and ruined palaces stand amid an arid boulder strewn landscape. Upon arrival, transfer to the hotel. Rest of the day is free for leisure. Overnight stay in the hotel. 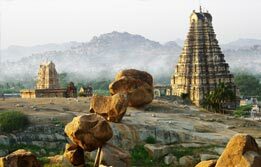 After breakfast, take a tour of Hampi, a heritage of Vijayanagara Empire (13 km / ½ hrs drive). This is one of the largest empires in the history of India, presently in ruins. Explore the ruined kingdom and return back to Hospet for overnight stay. Morning drive down to Badami (132 kms / 3 hrs) en-route visit Aihole, the Chalukyan cave temples, often tagged as the “cradle of Indian architecture.” Aihole has over 100 temples scattered around the village. Overnight stay in Badami. The capital of the early Chalukyas, Badami is picturesquely situated at the mouth of a ravine between two rocky hills. 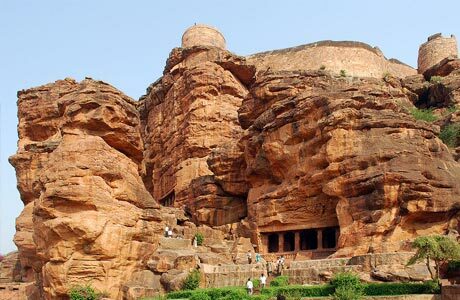 Badami is famous for its four cave temples. Overnight at hotel. Morning drive to Goa (284 km / 7 hrs). Upon arrival, transfer to the hotel. Rest of the day is free for leisure. Overnight stay in Goa. After breakfast, proceed for sightseeing of Goa. Enjoy the holiday on the beaches like Vasco Da Gama, Bogmallo, Majorda, Colva, Benaulim, Varca, Cavelossim, Mabor, and Palolem. 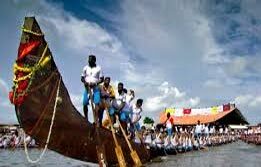 For cultural freaks there are ancient temples like Shri Chandreshwar Bhutnath Temple, Shantadurga Temple, Chandranath Temple, Damodar Temple, Mallikarjun Temple, and many others. Overnight stay in the hotel. After breakfast day is free for leisure. Overnight stay in the hotel. Morning transfer to the Airport to board the flight for Delhi / Mumbai. Upon arrival connect the flight for onward destination. Entry fee and boat ride charges in Periyar. Also charges for spice plantation at Periyar.